Set on the gorgeous white sand beach of Ootu overlooking Aitutaki’s turquoise lagoon, Aitutaki Village offers a friendly and relaxed getaway. 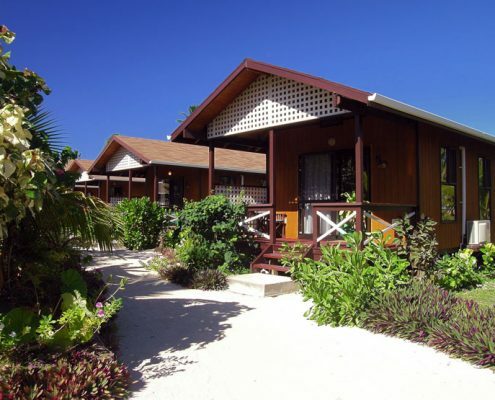 12 Polynesian-styled bungalows are set in gardens, just a hop, skip and jump away from the lagoon. The lagoon directly off the beach has a soft sandy bottom with both deep and shallow waters making it ideal for swimming and kayaking. 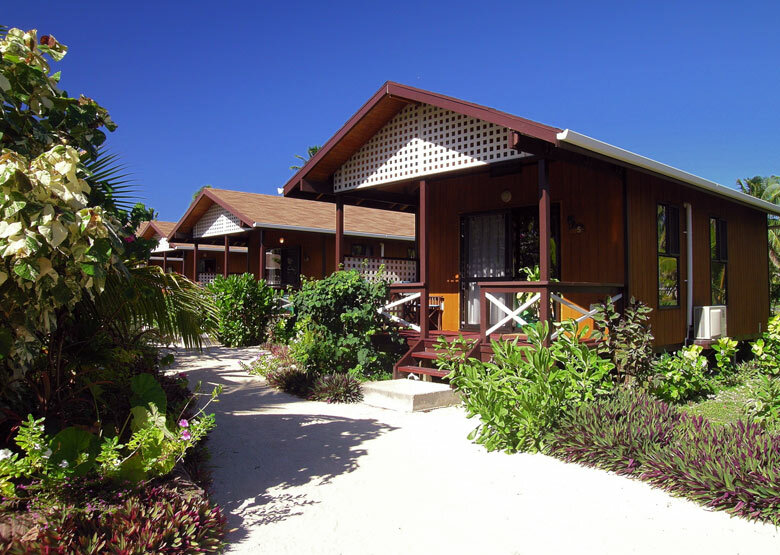 Aitutaki Village Restaurant & Bar is popular with locals and guests staying at other resorts on the island. It is set on the shores of the lagoon and is open for breakfast, lunch and dinner 7 days a week. Visitors should make a point to attend the Tuesday Island Night Buffet Dinner and Show. Many of Aitutaki’s lagoon cruises depart from Ootu Bay, right next to the restaurant.